Our BEST SELLING leash! The most versatile leash available. Premium stainless steel chain makes the “dog end” of the leash chew resistant. Our famous 8-Way lead is now available with chain for dogs that bite at their leash, but unlike a full chain or cable leash, it feels great in your hands. Backed by our unmatched Lifetime Warranty. NOTE: photos only show the black leather & chain. 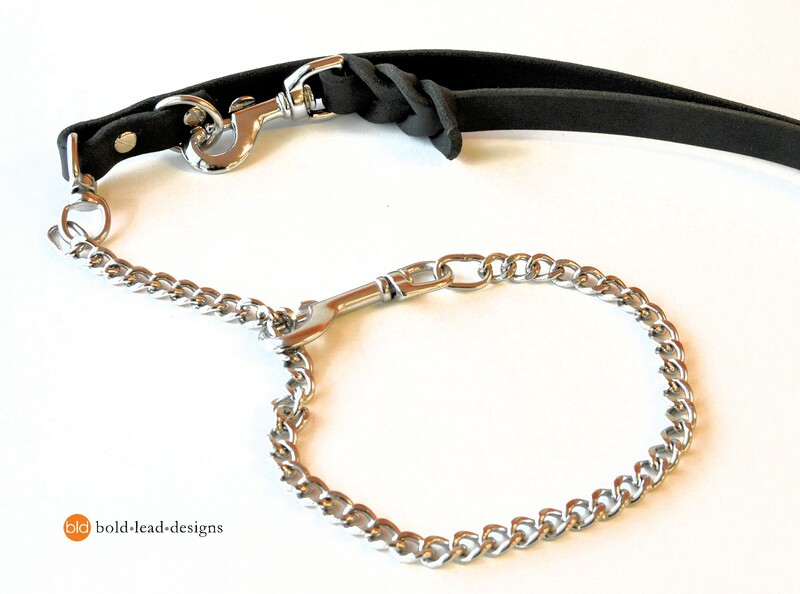 Also available in TAN: The stainless steel chain replaces the leather at the “dog end” of the leash, and all hardware is silver. The 8-Way Lead ™ is our most popular leash design. 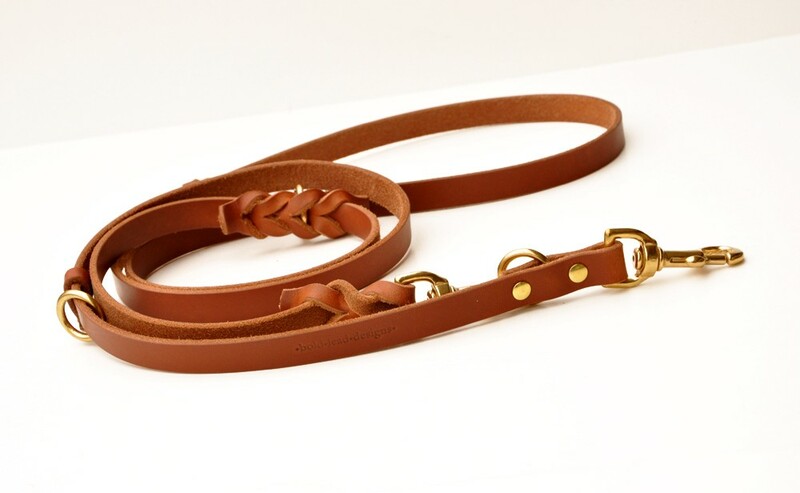 This European style, multi-functional, braided leather lead is the most versatile leash available. This leash can do almost anything! 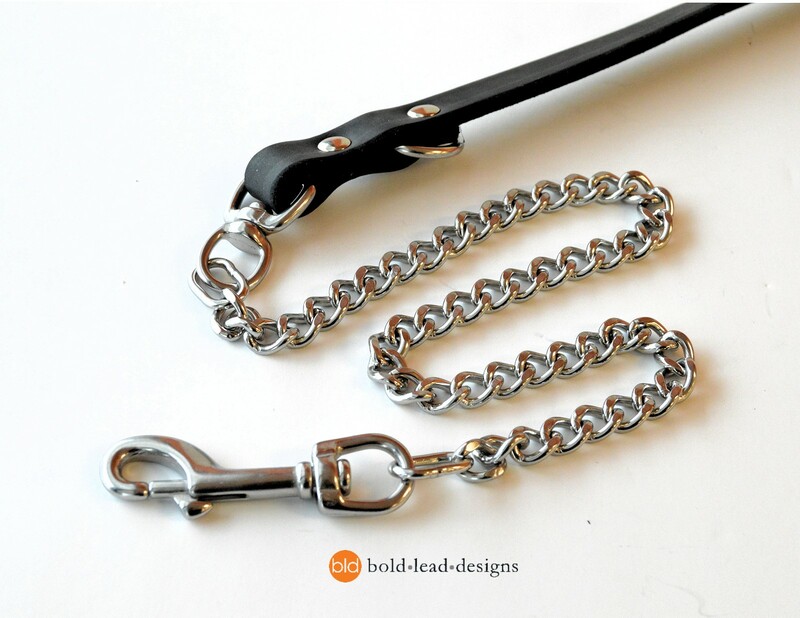 Features 24 inches of stainless steel chain with a bolt snap at the “dog end”, a bolt snap at the handle end of the leash, and two fixed rings for length adjustment. This leash does NOT HAVE A LOOP HANDLE, rather it has a bolt snap at each end so you can use the leash in any configuration. Available in 4 sizes, choose the width when you order. 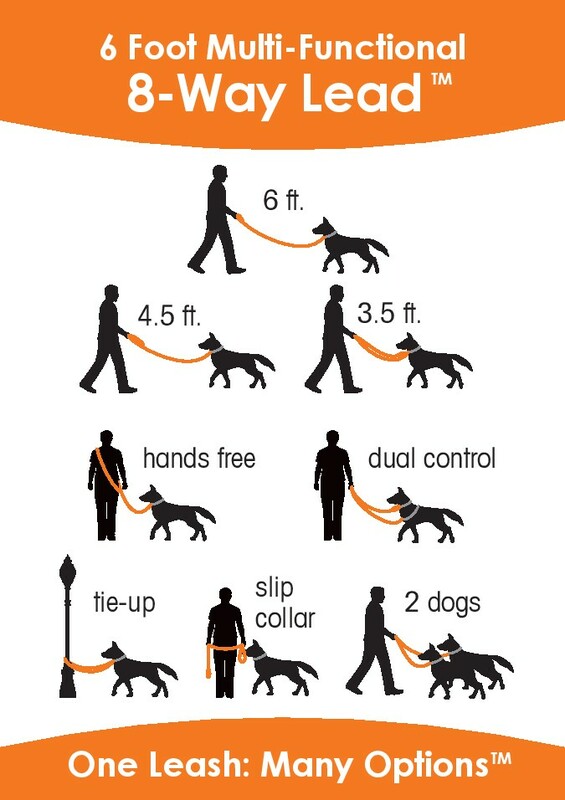 Check out the illustrations to see what this leash can do. 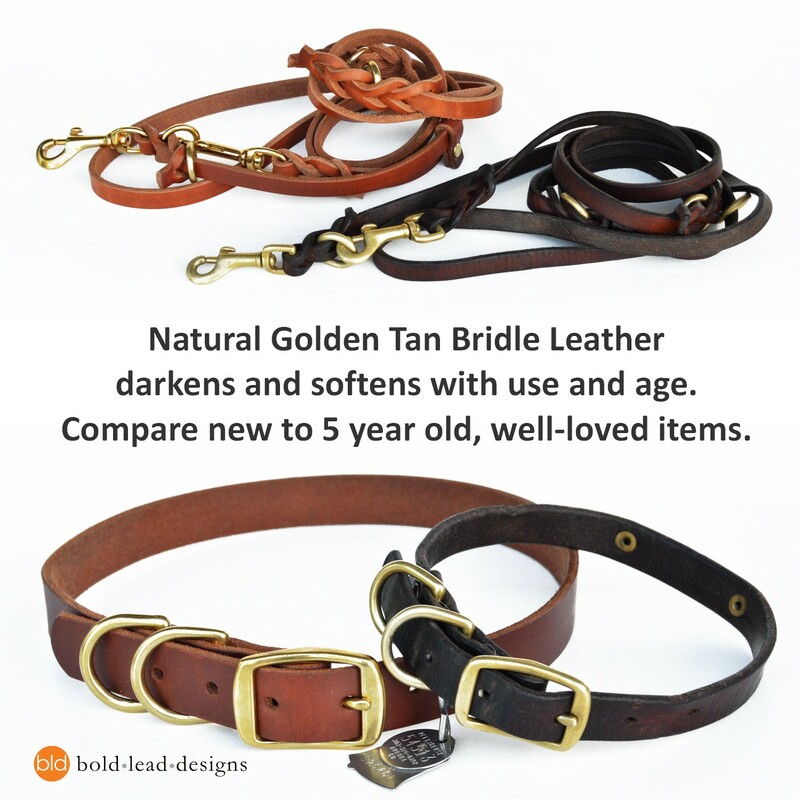 This super sturdy yet supple lead goes beyond the standard dog leash. This multi-function lead can be clipped to a collar or harness, or may be used as a slip-collar for effective yet gentle training. The lead can be shorted or lengthened at any time: Makes a 6, 4 ½, 3 ½ foot lead. Excellent as a hands-free leash that can be worn across your body by placing the leash over your shoulder (approximately 4.5 ft. from your shoulder to the dog). 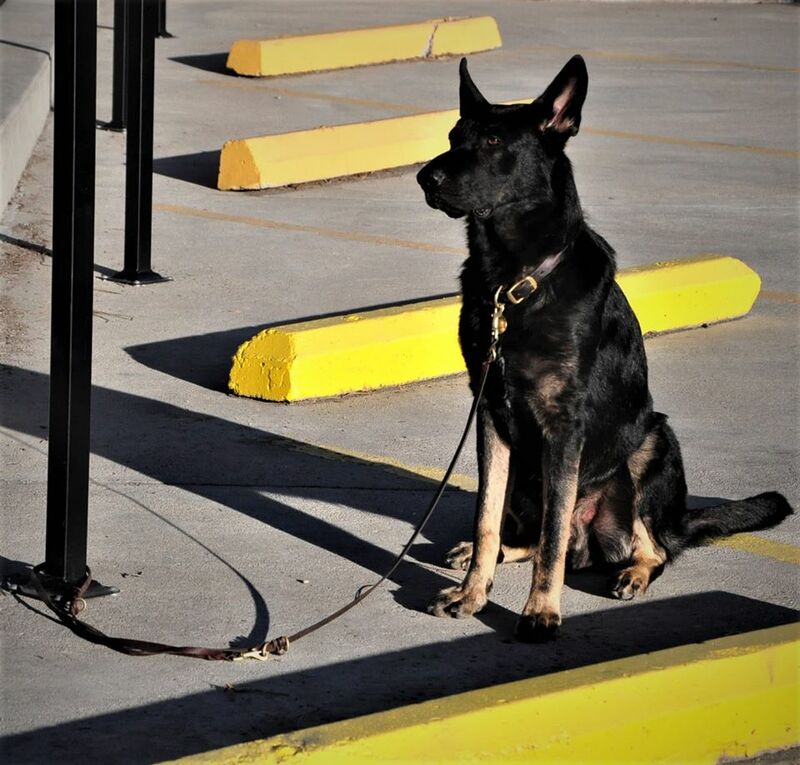 For dual control, you can connect one end of the leash to a training collar, and one to the regular collar. Great for use with head collars or harnesses. Great for Schutzhund/protection work, obedience training, service dogs, and everyday use. This is the best quality leash you will find anywhere. There is no stitching to come undone or rivets to wear out. We use only the best and most durable leather that is always soft to the touch and only improves with age. All edges are beveled for a smooth feel. Top quality hardware assures strength and durability. We believe so strongly in the quality of our work, we offer a LIFETIME WARRANTY. Our lovely BLACK LATIGO is solid black, and superior to ordinary leashes in texture and quality, cut from select from USA hides. It is incredibly durable, yet is very flexible. Feels great in your hands and will simply get better with age. We use only the highest quality chrome plated solid brass hardware (silver finish).